Check out some of the extra clips from Vans’ South America Skate Tour with team riders Elijah Berle, Curren Caples, Rowan Zorilla, Kyle Walker, Chima Ferguson, and Chris Russell. The Vans Propeller Latin America tour recently rolled through the skateboarding hotbed of Mar Del Plata, Argentina. Curren Caples, Chima Ferguson, Kyle Walker, Elijah Berle, Rowan Zorilla and Chris Russell did what they do best by feeding off the crowd and wrecking the park for the best demo of the tour yet. 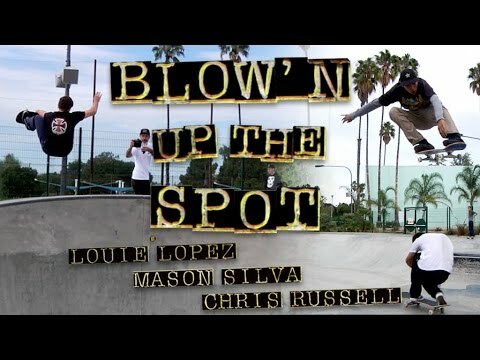 You never know how a quick park session will go when Louie Lo, Mason Silva, and Chris Russell are in the mix. Get the legs greased, and roll through Alondra Park with these rippers.